In announcing last week that more US forces were headed to Afghanistan, President Donald Trump remarked that "the American people are weary of war without victory". He's right about the weariness. But that very weariness is encouraged by the widespread belief that Afghanistan is the kind of war in which there is going to be a moment of victory, if only the American people support the war a little longer. And that is to misunderstand the nature of the conflict in Afghanistan. Ever since the Taleban government was toppled in late 2001, the heart of the strategic problem that has confronted the United States and its allies in Afghanistan has been the definition of victory: How does this end? We would all be better off if we first asked what "this" is. While Afghanistan is a war of sorts, it is not the sort of war in which there is likely to be a decisive moment of victory. Rather, Afghanistan is best described as an armed policing operation. 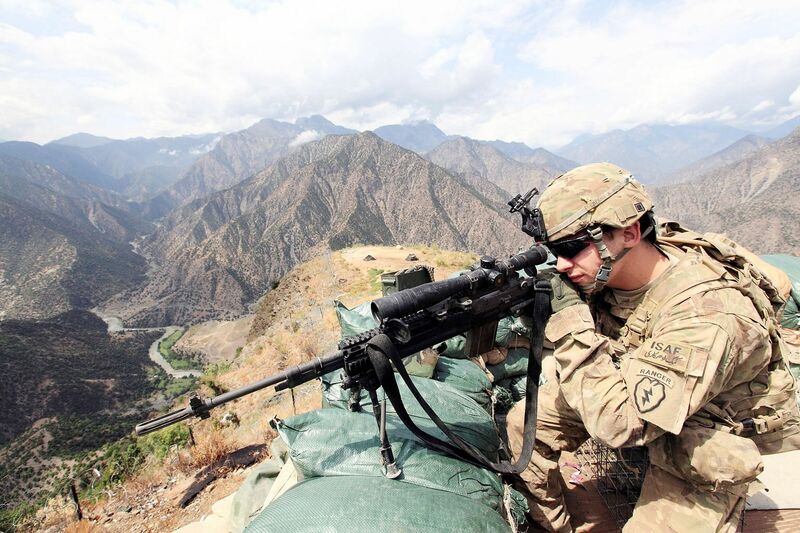 Hence, in Afghanistan, security forces regularly collect evidence from the battlefield: weapons, spent bullet cases, parts from improvised explosive devices, documents, cellphones, swab tests for explosive residue, and so on. Why? Because without evidence there will be no conviction in an Afghan court, and the alleged insurgent will walk away (assuming he doesn't bribe his way out after capture, as happens all too often). This summarises a categorical difference between internal law enforcement operations and interstate "conventional" war. The idea of impounding enemy tanks for use at trial or scouring enemy bunkers for spent bullet cases to put in evidence bags during, say, the Persian Gulf War would be ridiculous because, in that context, the enemy is not a criminal. The categorical distinction between internal and interstate war is straightforward. What is surprising, therefore, is how far the distinction is ignored in the expectation that decisive victory is nonetheless available in internal conflict. In a domestic context, everyone understands that policing is a continual activity. The idea is constantly to maintain order. There is no moment of victory as such but, rather, an ambition to achieve and maintain relative "stability", which is only ever a provisional state. To think about the conflict in Afghanistan as an armed policing operation (in my book I call it "armed politics", but it's the same business of enforcing the writ of a government over its own state) makes sense historically. Take, for example, the British experience of policing the other side of the lawless "North-West Frontier" between what is today Pakistan and Afghanistan against rebellious Pashtun (then called Pathan) tribes. Virtually not a single year passed between 1849 and 1947 without some kind of large military expedition to quell unrest. Before 1900 alone, there were 60 such campaigns. In 1897-1898, a general rebellion of the Pathan tribes required the deployment of a 44,000-strong force to put it down - the largest British field force ever deployed in Asia to that point. But this operation is not remembered within the chronology of any war. Rather, the action of that year is known simply as the Tirah campaign. The key point is that there was no end point to this century of continual armed policing activity - 1947 was merely the date the British left. Thousands of Pakistani troops remain engaged in policing the same tribal regions today. In sum, the notion of "victory" in Afghanistan tends to mislead because it shoehorns the language of conventional war into internal conflict, in which outcomes are usually gauged in terms of relative stability, not decisive victory. That said, decisive victory in internal conflict is sometimes possible, typically when the insurgent force gets so powerful as to field a conventional force and the distinction between conventional and internal war breaks down. In Afghanistan, that would mean the Taleban converting from a guerilla to a conventional force in an effort to take and hold big cities, but would thus risk presenting a conventional military target that could be defeated in open battle. But the Taleban is unlikely to make that switch, since it would likely lose in conventional battle to US-backed Afghan forces. The Taleban leadership will not likely repeat the mistake the mujahideen made when they switched from guerilla to conventional war to take over Afghanistan. They were badly defeated at the Battle of Jalalabad by Soviet-backed Afghan forces in 1989, which kept the then Afghan government in power until the USSR itself collapsed in 1991. Let's be clear: We're losing in Afghanistan, and the Taleban is winning. But as Field Marshal William Slim once said: "In battle nothing is ever as good or as bad as the first reports of excited men would have it." In other words, stay calm and look at things objectively. The fact remains that while we can't win decisively, neither can the Taleban so long as the US remains in Afghanistan, as that prevents the Taleban switching to a conventional posture. One role of any long-term American force is to make clear to the Taleban that it can't win and so ultimately encourage a negotiated outcome. What this would look like has to be up to Afghans, not Westerners, or the settlement will lack legitimacy. But the outlines of any deal would likely be about the southern and eastern Pashtun areas having a more autonomous place within a more decentralised Afghan state. But US forces have another role to play in Afghanistan - to pressure the Afghan government itself to reform. Where people support the Afghan government, it's not because it is great but because the Taleban is more despised. Realistically, the Afghan government will not reform unless it feels compelled to. To that extent, it is right that any US force should remain small enough to leave the burden of the military fight to Kabul. The US' new Afghanistan strategy crafted by Defence Secretary James Mattis and National Security Adviser H.R. McMaster - to provide more troops to assist the Afghan government while proposing no timetable for their drawdown - appears to be broadly in line with this view and avoids commitment to the notion of decisive victory. It's not a strategy to get excited about, and that's a good thing. Emile Simpson, a former British Army officer, is author of War From The Ground Up: Twenty-First Century Combat As Politics.